Title looks amazing and reflects this hack as a joy of a hacker. 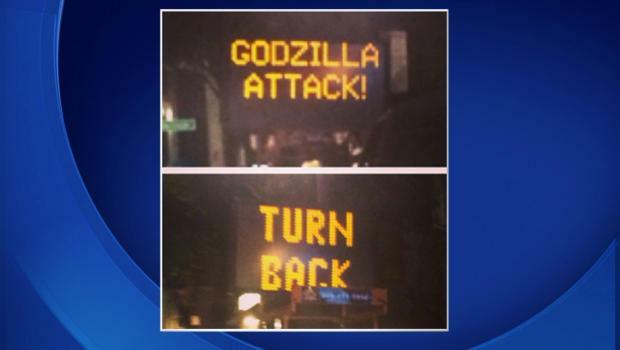 The sign was spotted on Van Ness Avenue Wednesday night, reading “Godzilla Attack – Turn Back,” CBS San Francisco reports. The hacked mobile sign was supposed to be warning drivers about traffic delays during Sunday’s Bay to Breakers foot race. In the meantime the sign has been fixed, you can see the hacked image of the sign on the top.